Have you driven by a restaurant, fast-food place or perhaps a deli and thought about stopping? Here’s a quick way to tell if that establishment is meeting the sanitary requirements. This section provides the detailed health inspection reports and results of the unannounced inspections conducted by Registered Environmental Health Specialists from the Hunterdon County Department of Health. Restaurants and other establishments offering food to the public are inspected annually (or more frequently if deemed necessary by the Inspector) and they are rated based on the standards outlined in Chapter 24 of the New Jersey Sanitary Code. The ratings issued to the establishments are described below. 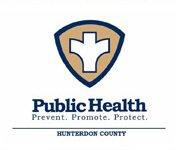 If you don’t see your favorite restaurant or eating establishment listed or you want to know more about the particular rating, call the Hunterdon County Department of Health at: 908-788-1351. SATISFACTORY GOLD - the establishment is operating in substantial compliance with Chapter 24, with no more than two violations each year for the past two inspections, they have a Certified Food Protection Manager on Staff and they consistently exceed the minimum standards required for effective sanitation and safe food handling. SATISFACTORY - the establishment is operating in substantial compliance with this chapter. Food service personnel demonstrate that they are aware of and are practicing the required sanitation and food safety principles. CONDITIONALLY SATISFACTORY - at time of inspection, the establishment was found not to be operating in substantial compliance with this chapter and in violation of one or more required provisions. Due to the nature of these violations, an unannounced full reinspection will be scheduled. Opportunity for reinspection is offered within a reasonable time determined by the severity of the violation. UNSATISFACTORY - whenever a retail food establishment is operating in violation of this chapter, with one or more violations constituting gross unsanitary or unsafe conditions posing imminent health hazards, the Health Authority immediately requests the establishment's manager to voluntarily cease operation until reinspection verifies that conditions warranting unsatisfactory evaluation no longer exist. Meanwhile, the health authority institutes necessary measures provided by law to assure that the establishment does not prepare or serve food until reinspection validates that conditions now meet health standards.